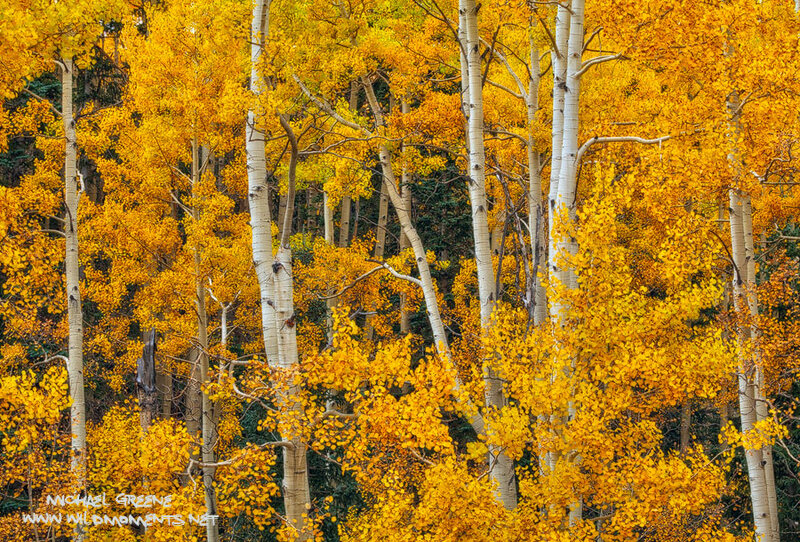 Dramatic, golden foliage of aspen trees form a tight canopy in the high mountains of Lockett Meadow near Flagstaff, Arizona. This image was captured in early October during the peak of autumn colors. Photo © copyright by Michael Greene.